Nestled within the Pennines, it’s hard to believe this idyllic country garden was once a public toilet. Demolished a few years ago, the land had been left neglected and was in serious need of refurbishment. We were asked to create a contemporary cottage garden which was still in keeping with the rural architecture surrounding. We achieved this by adopting a heritage colour scheme. Foxgloves, allium and delphinium add subtle splashes of purple are blue to the luscious flower borders. The stone patio and paths compliment the rustic oak decking and raised vegetables beds, while also adding texture. The addition of bright pots and the painted lattice fence enhance this vibrant space as well as making interesting features. 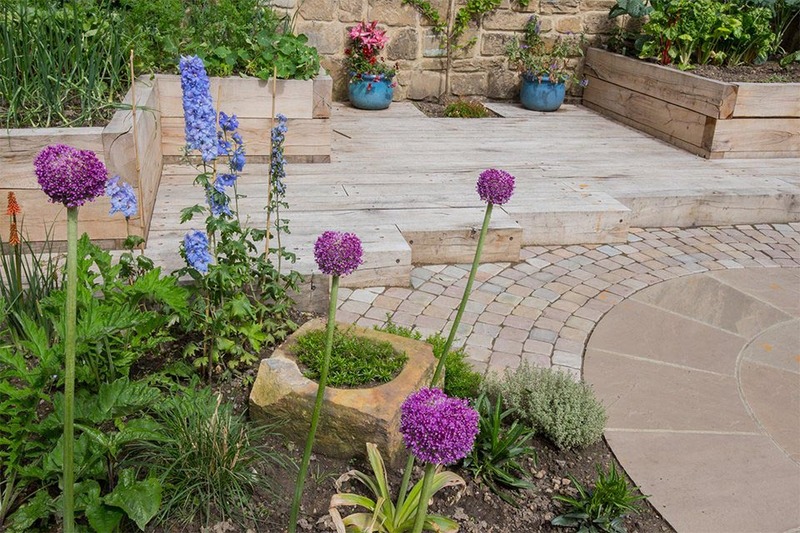 This once disused plot has now been transformed into a tranquil garden which is modern, yet perfectly blends into it’s traditional surroundings.